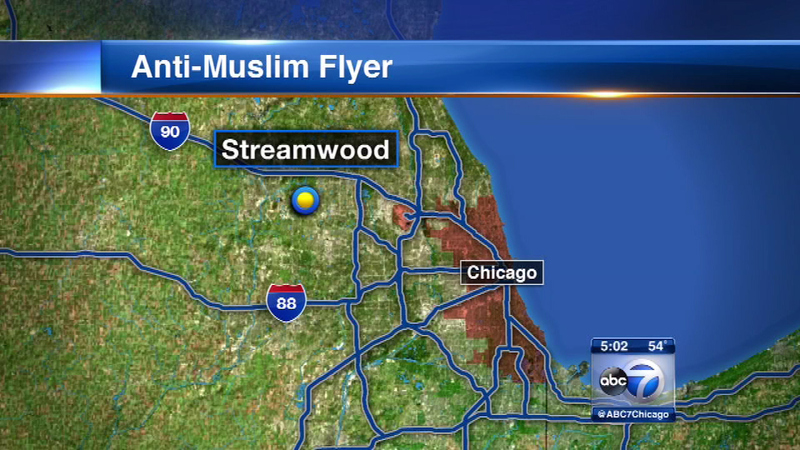 STREAMWOOD, Ill. (WLS) -- Police in the northwest suburb of Streamwood are investigating a pair of hate filled flyers targeting Muslims. Police say a family received two different flyers over the last several weeks. One of them includes an apparent screen shot of an ISIS propaganda video telling the family they are not welcome in this country. "A strong, adequate public condemnation needs to be made that this is not the kind of society we want," says Ahmed Rehab, executive director of CAIR Chicago. Streamwood police say they have asked the FBI to investigate.